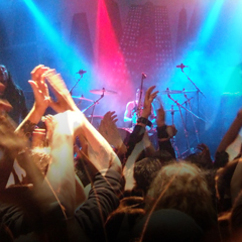 Noise from entertainment venues is a common cause of complaint to local authorities. In particular loud amplified music and raised voices in beer gardens and vehicles or patrons leaving can be disturbing for neighbouring residents. Local authorities are responsible for issuing alcohol and entertainment premises licences, and residents and businesses in the vicinity of the premises have the right to make representations about applications for a new licence or variations to an existing licence. Where it is likely that noise will be a problem, local authorities will impose conditions on the licence that will ensure that entertainment activities held at the venue do not cause nuisance to local residents. Southdowns provides technical input to support licence applications and to providing noise impact assessments associated with late night venues. With the increase in popularity of pop-up music festivals and the regulatory authority's requirements for ensuring that adequate controls are in place, there is a need for technical input at planning and licence application stages as well as compliance monitoring throughout the duration of the events. Staff have experience in the preparation and reviewing of event licence applications, liaison with local authorities, undertaking site suitability assessments, providing expert evidence at licensing committee hearings, preparation of noise management plans, and the noise monitoring and management during events. 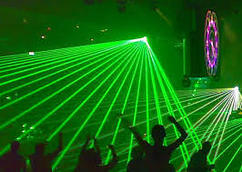 event noise monitoring and management. detailed data access and reporting on-demand via the internet.